Hyderabad is a very populated city, mostly situated on hilly terrain around artificial lakes, in the southern part of Telangana, in south east India. This ‘City of Pearls’, historically known as a pearl and diamond trading centre, is a queer mix of old world Mughal charm and rapid urbanization. So, on one hand the city boasts of old relics like the Charminar and Golconda Fort with Hyderabadi Biryani and Hyderabadi Haleem as the famous cuisine, while on the other hand there has been rapid industrialization with major manufacturing, information technology and financial institutions setting up base here. The city itself has a lot to offer tourists, by way of several historic monuments and buildings, magnificent palaces, traditional and historic bazaars, beautiful lakes, national parks and wildlife sanctuaries. However, it’s always refreshing and rejuvenating when one gets out of the crowded city with all the pollution and explores beautiful locations not too far away, making some wonderful memories on these short road trips. 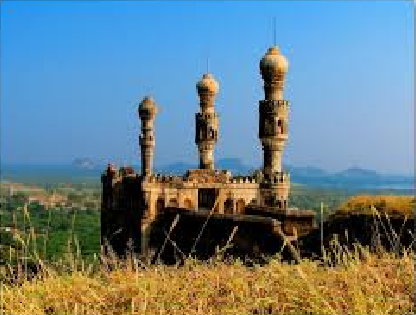 Also known as Palamoor, Mahabubnagar is situated at an altitude of 1633 feet, at a distance of 110 kms from Hyderabad. Named after a former Nizam of Hyderabad, this place is famous for the various religious and historic sites located within and around it. Some of the most ancient temples are situated here, which include Alampur, Srirangapur, Uma maheshwaram, etc amongst others. 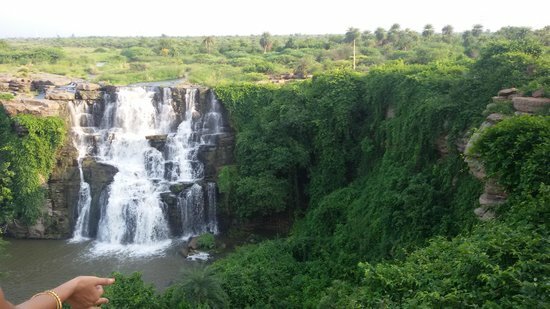 Located near the Nallamala Hills in the eastern ghats, one can also visit the breathtaking Mallelatheertham waterfall which is deep in the Nallamala forest region and enjoy a picnic at this location. Another attraction at Mahbubnagar is a 700 year old banyan tree, which extends its branches over nearly 3 acres. Located in the Nalgonda district of Telangana state, Nagarjuna sagar is famous for the world’s tallest masonry dam, the Nagarjuna sagar dam, built across the Krishna River. This impressive construction appears spectacular amidst the lush green surroundings and creates a wonderful panoramic view. This town is also well-known for the excavation of Buddhist civilization and Buddhist monasteries and is one of India’s most important Buddhist history sites. It is a delight for people interested in history and culture. An island by the name of Nagarjuna Konda is situated in the midst of a man-made lake and several relics are preserved here. Tourists can enjoy the splendid waterfall, indulge in a boat-ride to Nagarjuna Konda and marvel at the beautiful landscape. Karimnagar is situated in north-west Telangana, along the Lower Manair Dam, at a distance of about 164 kms. This historical town, once the centre of Vedic learning, is also a famous pilgrimage centre with many ancient temples situated here. 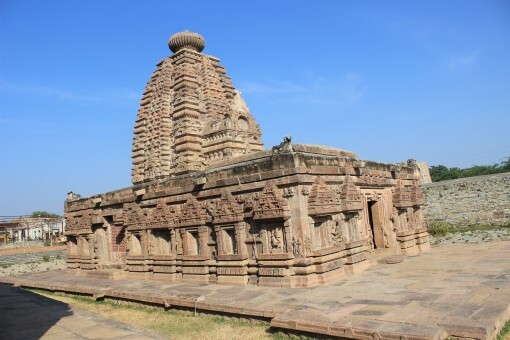 The town is also known for its stunning architecture and various archaeological findings and excavations depict that the town was ruled by the Satavahanas, Mauryas and other rulers from that era. The Shivaram Sanctuary close by is another attraction when in Karimnagar. One can also visit the historic Elgandal Fort and various famous temples like the Sri Raja Rajeshwara Temple, the Mukteshwara Swamy Temple, Kondagattu and many others. The Manair Dam and deer park are also very popular. Srisailam is a very famous town, in close proximity to Hyderabad, located deep in the centre of Nallamala Forest in Kurnool district of Andhra Pradesh. Well known as the location which has one of the twelve Jyotirlinga temples dedicated to Lord Shiva, Srisailam has always had a very important role to play in Hindu religion since ancient times. 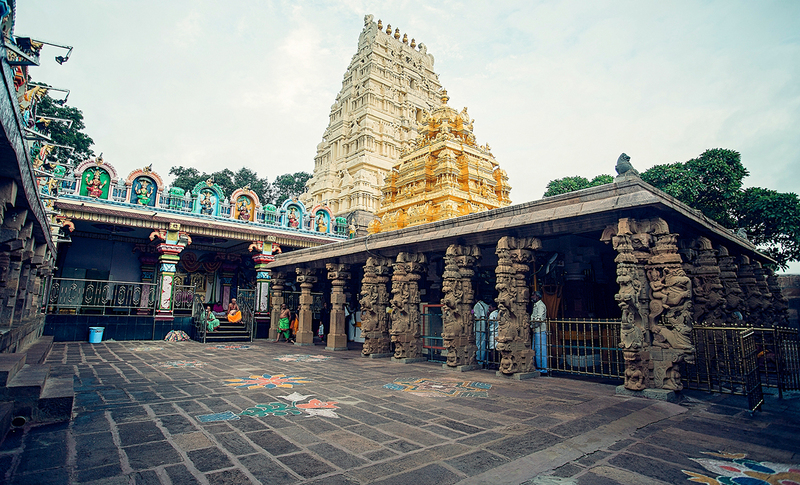 Associated with an old world charm, this town also has many other famous temples like the Bhramaramba Mallikarjuna Temple at the top of the Nallamala Hills and the Ista Kameshwari Temple, deep within the forest, which can be accessed via a jeep ride due to the very rough terrain. Another exciting attraction here is the Akkamahadevi caves which can be reached by boat. One can also enjoy some wildlife spotting at the Srisailam-Nagarjuna Sagar Tiger Reserve which is the only tiger reserve in Andhra Pradesh. 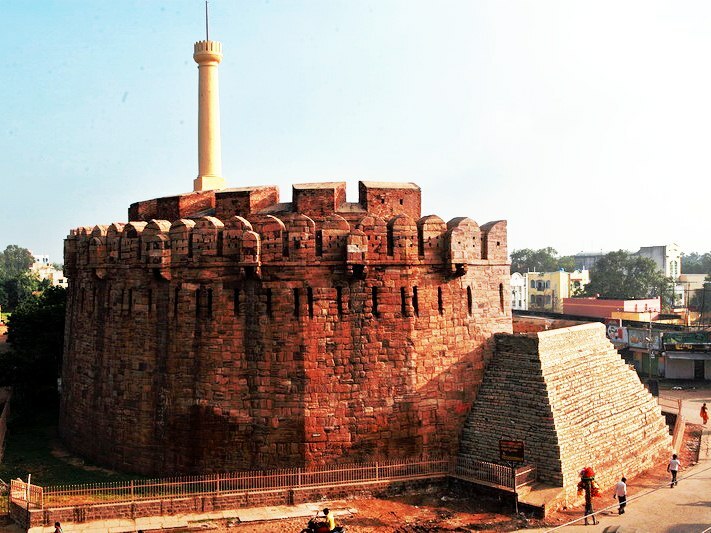 Located along the edge of the Tungabhadra river, Kurnool city was once the capital of Andhra Pradesh and has its own prominent place in history. Well known for its tropical climate and the Hundri and Neeva rivers flowing through it, this city is a wonderful getaway if one wants to rejoice in the midst of nature. Most famous here are the Belum Caves, with its stalagmite and stalactite formations within, which are the second largest and longest caves in the Indian Subcontinent. One can thoroughly enjoy a day picnic at the Orvakallu Rock Garden with its many interesting rock formations and beautiful surroundings. History and culture lovers can visit the ancient Konda Reddy Fort with its Persian and Arabic inscriptions and the famous Uma maheshwara Temple in Yaganti, which houses a statue of Nandi, Lord Shiva’s mount and is believed to grow an inch every 20 years, making it a famous world attraction. The Rollapadu Bird Sanctuary close by is a great place for some bird watching and wildlife viewing.